Michael Dollar has a B.A. in Anthropology from SUNY Plattsburgh, an A.A.S. in Fine Art from the Sage College and an M.S. in Art Education from the College of Saint Rose. 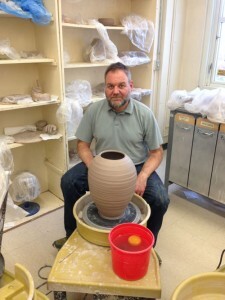 He has been teaching ceramics at Mamaroneck High School since 2000 and The Center for Continuing Education since 2002.